After making my first post regarding a web system for showcasing artwork easily and inexpensively, I now want to move on to talk about a few other tools I picked up along the way. In February I embarked on creating on online shop to sell my artwork, and along with that came a couple of helpful tools making it far easier for an artist like me to manage and organize. There are a lot of tools out there built by big companies that offer e-commerce, back-end product management, shipping orders, the list of features goes on and on. When I was looking to set up my store I wanted something easy to use with little maintenance, looks nice and clean, and lets me know in a helpful manner when I have a new order. I needed a simple storefront, not a big e-commerce suite because I’m small-time. After a lot of research (and annoyances) I discovered the mighty Big Cartel. 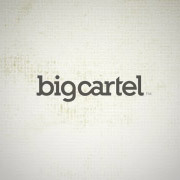 Big Cartel is a dynamic storefront specifically created to be easy to use, clean and manageable. There is no fuss with code, it hooks up to Paypal extremely easily, and it handles all of the transaction proceses that guys like me know nothing about. When someone places an order, an email is fired over to me showing who they are, what they ordered and where it is going. I can even play with the CSS code to adapt the store’s overall design to my own Signalnoise identity. I signed up for a Platinum account which costs $9.99 a month, next to nothing compared to what the store has been doing for me. Plus, a huge feature is Big Cartel takes NO CUT from your sale, which is something a lot of other storefronts do. They deposit all of the purchase money directly into my Paypal account. I can’t stress how much the Big Cartel team has made opening a store on the web easy for a guy like me. Highly recommended. Google Docs is a handy web-based document handler. I needed something I could update to show what has shipped and what is waiting to be shipped. Google Docs offers a free web-based spreadsheet app, allowing me to update current orders from anywhere with the internet. This makes organizing my orders extremely easy. On top of the actual website set-up, I have Staples delivering shipping supplies to me and the print house delivering the posters. With all of these little steps some inevitable hiccups happen where things get delayed a few days, but the kinks are certainly getting worked out as processes get refined. I hope this post helps out fellow artists wanting to get their stuff out there. If you have any questions or suggestions, feel free let me know. Thanks for the kind words James! I’m really glad you’re enjoying your store.